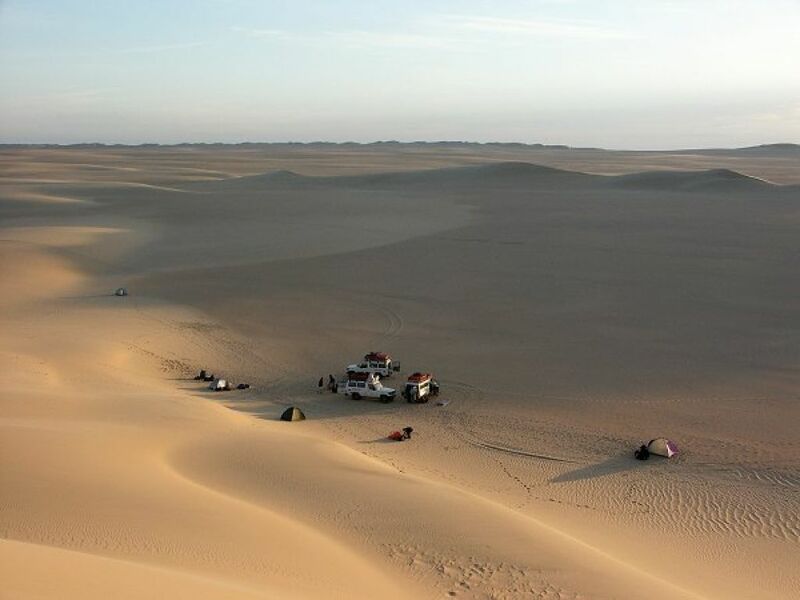 Take an adventure and explore the beauty of the White Desert , include the Siwa and fabulous Crystal Mountains, visit the Alexander Temple and the cemeteries and World War 2 Museum in Alamein. Today your personal Guide will pick you up from your Hotel by A/C Vehicle to accompany you on a journey to visit Alamein which is an approx.. 3 hour drive.Our first visit will be to the Military Museum which houses many of the weapons,tanks and uniforms used in World War II. Proceed on now to visit the World War II Cemeteries. 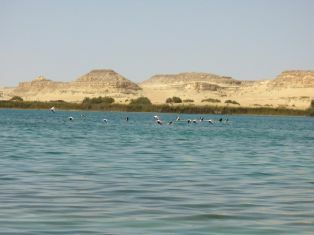 We now leave Alamein to visit Marsa Matrough bay which is on the beautiful Mediteranean Coast then proceed onto Siwa . The drive from Alamein to Siwa takes approx.. 6 hours. overnight in Siwa. This morning after breakfast we will take a trip to the Old City of Siwa. Here we will take a visit to the Alexander Temple which was dedicated to the God Amon. Alexander visited the Oracle of Amon to confirm that he was the son of Zeus which the Greeks associated with the Egyptian Amon.Now journey to Cleopatra Spring Ain al Hammam, in ancient times known as the spring of the SunWe now proceed to visit the Siwa House Museum. Continue on to Gabal al-Mawta where you can visit the tombs which are inside the Mountain of the dead. Overnight in Siwa. Today after breakfast we journey to the Siwa Desert . The first stop will be Maraki Village.Let us now Cross the desert and stop near one of the archeology sites at Great Siwa Mountain.Here you can see the first human footprint above the mountain which dates to the prehistoric era. 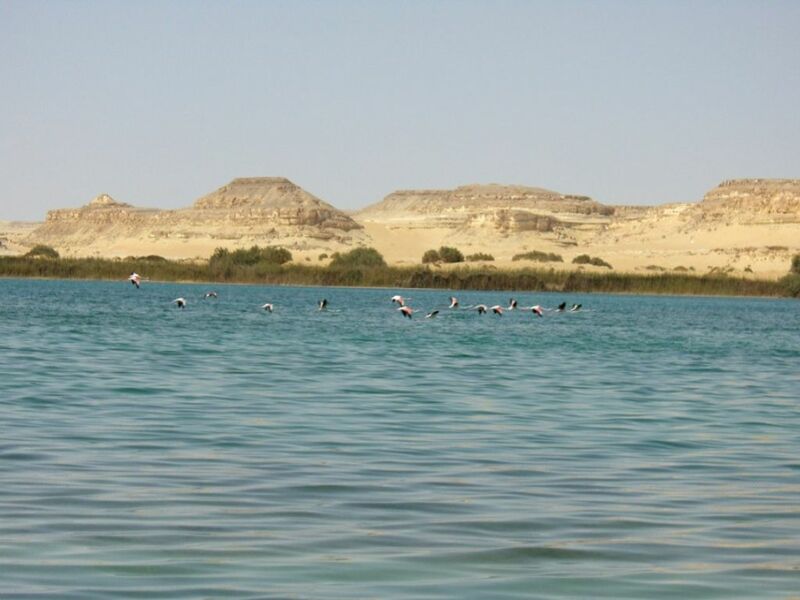 Our Safari continues on between the dunes where we will arrive at the fossils area.Here you can view the rocky coral reefs .We now drive onto Shiata Lake where you have the great chance of watching the beautiful Flamenco birds, you can also take a swim at cold spring and relish the bath and relaxing atmosphere. After enjoying your swim and relaxing bath we can now experience the sand surfing in the desert. Now enjoy driving to Bir Wahid which is a hot spring where you can relax your muscles. Overnight Camping at Bir Wahid. After breakfast and a good night’s rest transfer to visit Al Arag Valley where you can see Caves or tombs which are surrounded with natural landscapes. Now journey to Bahrian and overnight camping. 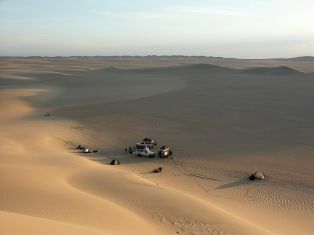 This morning once you have enjoyed breakfast you will travel through the dunes of the Great Sand Sea. Then visit Dalla Spring. Overnight camping in the desert. After enjoying your overnight camp and breakfast we will now journey to the Western Desert. We will make a stop for some lunch and relaxation before we continue onto the White Desert. Overnight camping. This morning we will be taking a visit to see the quartz crystal at the amazing Crystal Mountain and view the rocky formation which is in the valley of Agabat. Now continue on to the Black Desert and the Valley of El Haize with its hot spring. 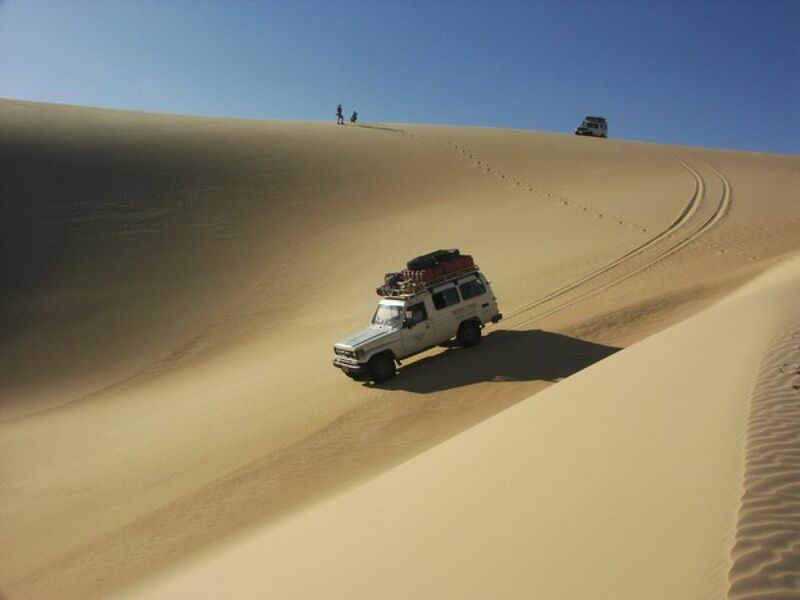 After this visit you will be transferred in a 4x4 to Baharia.When you arrive you will visit the Museum of the Golden Mummies, Temple of Ain Meffetla and the Tombs of the Nobles. Ovenight in Bahariya. Once you have checked out and enjoyed breakfast at your Hotel you will be transferred from Bahariya for an approx.. 4 hour drive in an A/C vehicle to Cairo.